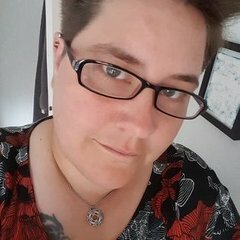 If a thoughtful member sends something to make you feel special, please post a thank-you in this thread. Awww - ya got me! My TLFGM made me something very very special! And she fulfilled my very wish of "something handmade by YOU" on my Wish List - total surprised by this RAOK! 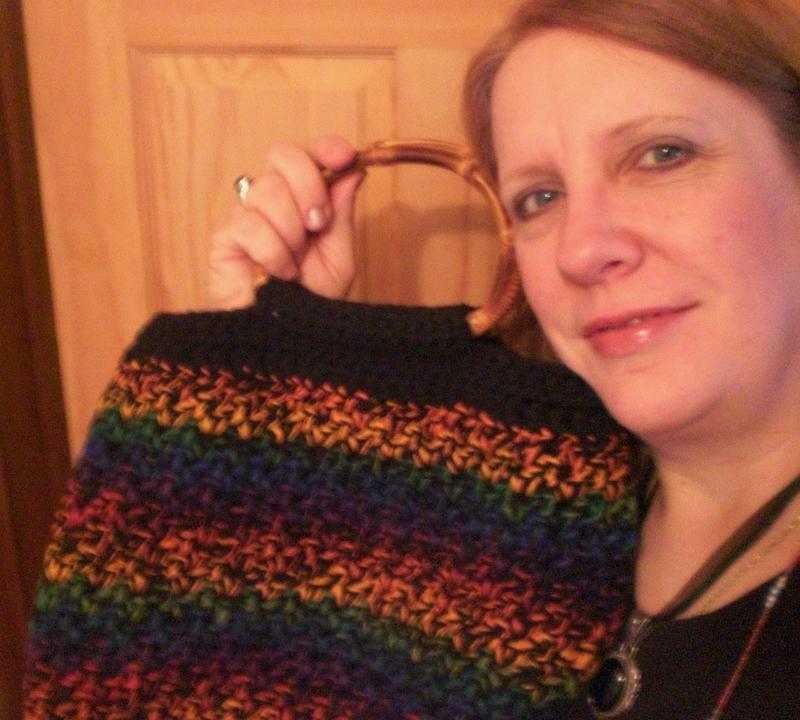 I received a gorgeous bamboo handled tote in rainbow colors to take a project in or use as a purse - I LOVE IT! Thanks so much! 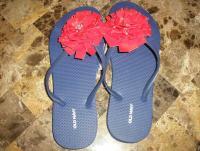 I was sitting relaxing and watching Ghost Whisperer reruns! I have tried to order it about 4 times and every time it is back ordered but now I have it!! Thank you so very much special special elf from WI you completely made my Year!!! Thank you so very much to my special elf! I got the prettiest butterfly pins!!!! They are gorgeous! I was having such a bad day until I checked the mail. It has turned into a very good day indeed!!!! 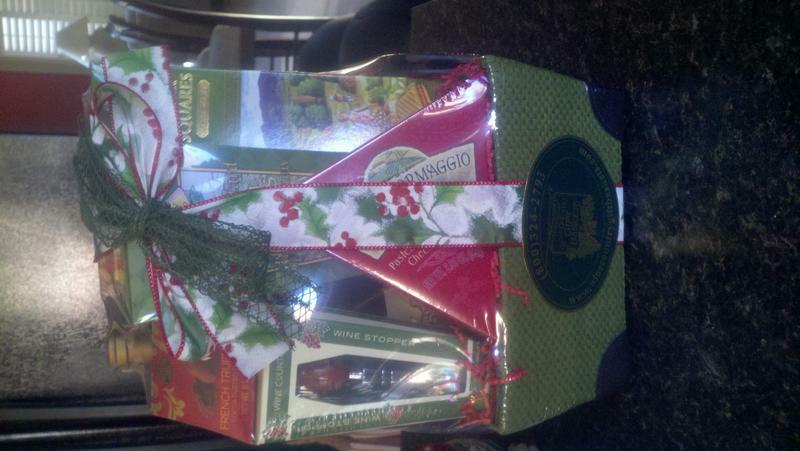 I received a fun rack from my AZ fairy godmother. It a chinese new year gift to me. I recieved the same Chinese fortune cookie and stitch markers as Janet, so I won't clutter up bandwidth with a duplicate photo. But I did want to send a public thank you to my fairy godmother up the road! She is awesome! And no, I didn't throw anything out on Chinese New Year's Day, so we'll see if my finances are better this Year of the Dragon! 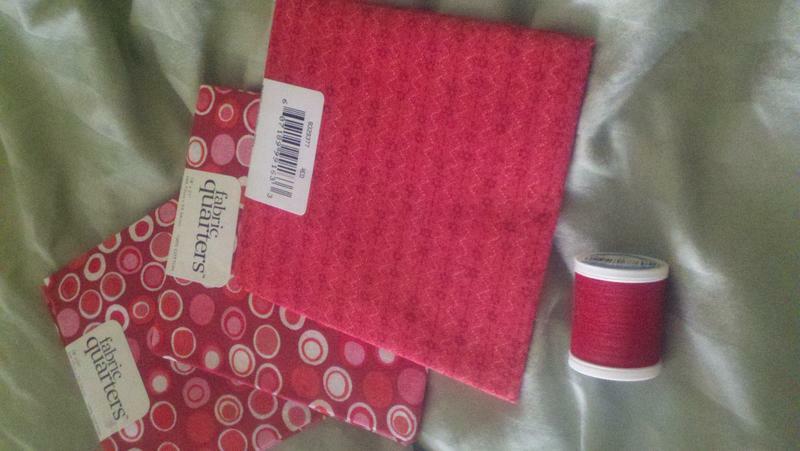 my wonderful FG sent me a fab red package ; 3 fat quarters and a spool of matching thread! yay- I love it ! 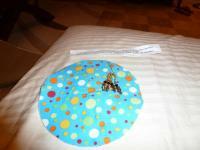 Ohhh and not in the pic - is a really lovely beaded peacock key chain - its already on my keys!! 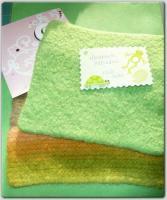 A potholder and dishcloth for my new house. You completely made my day! 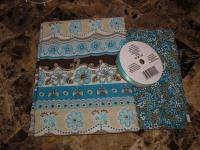 I cant wait to sit down and play with my new craft supplies! 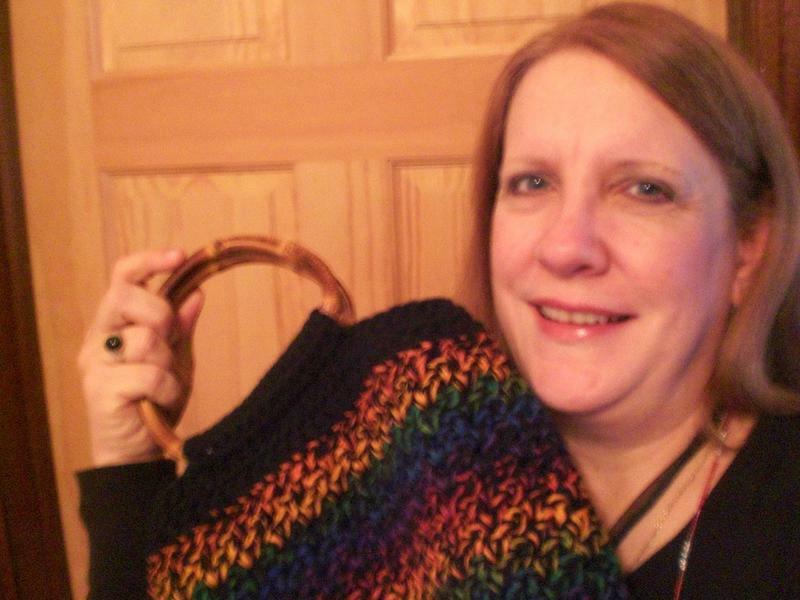 Thank you to a very wonderful FGM in FL who gifted me two wonderful tote patterns!! What a wonderful surprise!!!! Thank you!!!!! You made my day!!!!! Look at the beautiful potholders I received from my special friend in PA.
thankyou so much for an extremely special gift-you are exceptionally thoughtful,and a wonderful friend. 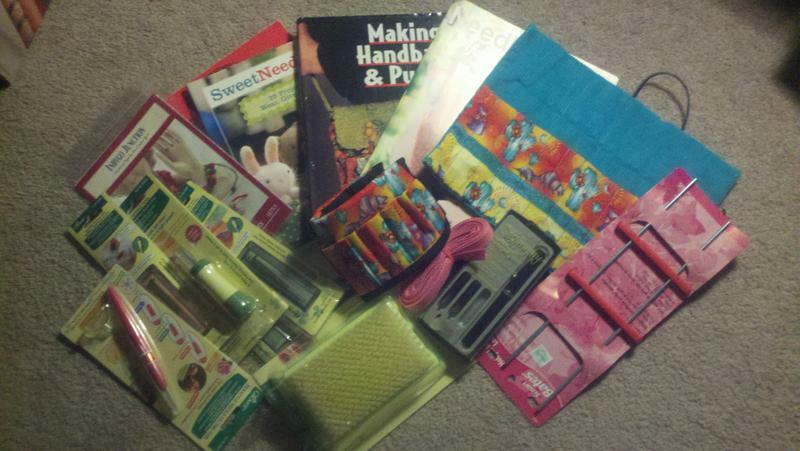 Thank you to my WA fairy godmother who sent me lots of polymer clay and a book too. It will all be put to good use!!! I have to apologize to my FGM in PA. 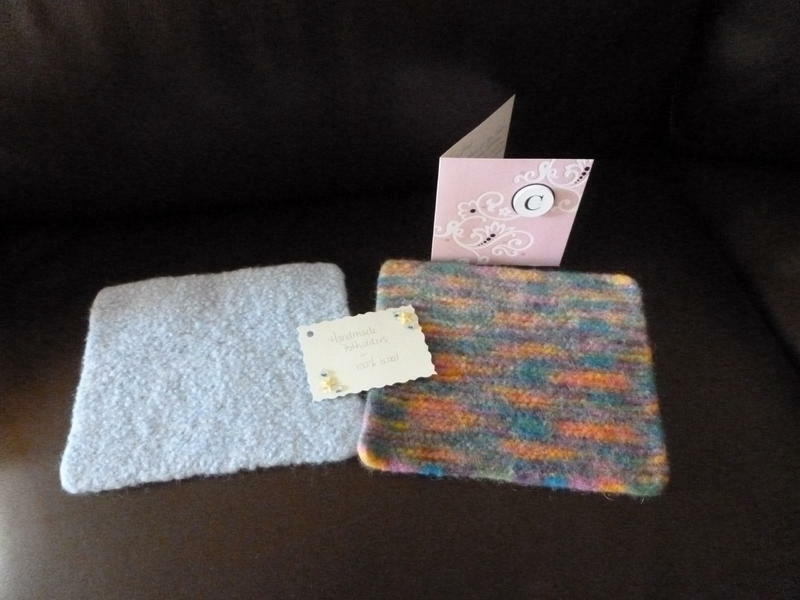 I received 2 lovely felted wool potholders last week and completely forgot to thank her! 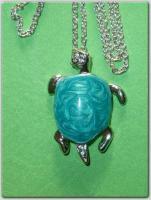 Today I got home to find the prettiest little turtle pendant from my FGM in KY. Thank you so much! I received an envelope the other day postmarked from Florida, from someone whose name was unfamiliar to me. I wondered who it could be, that was sending something to me. 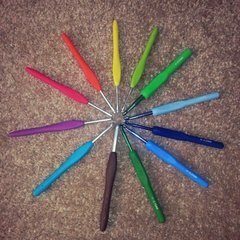 I opened the envelope and in it was a crochet hook with such a lovely polymer clay handle. The colors are so pretty. I like the feel of it. It's so much easier to grasp. Thank you! Thank you, FGM. You really surprised me. A special FL FGM gifted me a lovely tote pattern today! I can't wait to make it! Thank you so very much! :manyheartI just wanted to say thank you to my FGM, "pansy" now has a very important job, she is watching over my stash (the portion in the living room, she would need several friends to take over all the stash, it's more of a team effort. Thank you for pansy, she did indeed brighten my day. I was expecting packages...my kids were anxiously awaiting the ups man, release day for a new video game....when the mail carrier gave me the package, I saw my name and assumed it was some yarn I bought on ebay, I was thinking to my self why on earth did they use such a big box for one skein of sock yarn. I have said before, I am in awe of those who can crochet in thread, I have tried but I just can't handle those small hooks! A special Thank You goes out the FGM in Fl. She sent me a counted cross stitch Dragon for me to do! My special AZ fairy godmother sent me beautiful fabric, ribbon and flip flops with a duct tape flower on them. I can't wait to wear them and find a project for my new fabric. 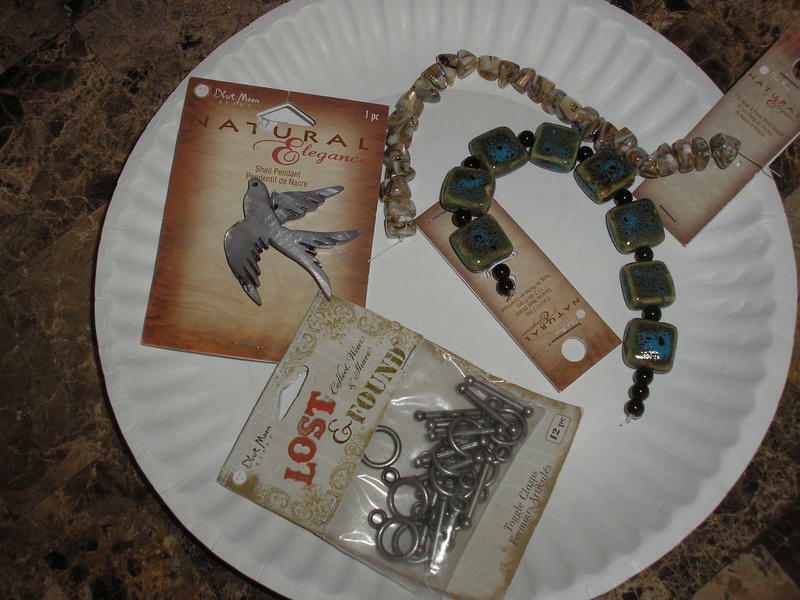 I received some beautiful beads from my fairy godmom from CT.
She sent me beads and clasps and a beautiful grid shell pendant. I can't wait to make another bracelet. 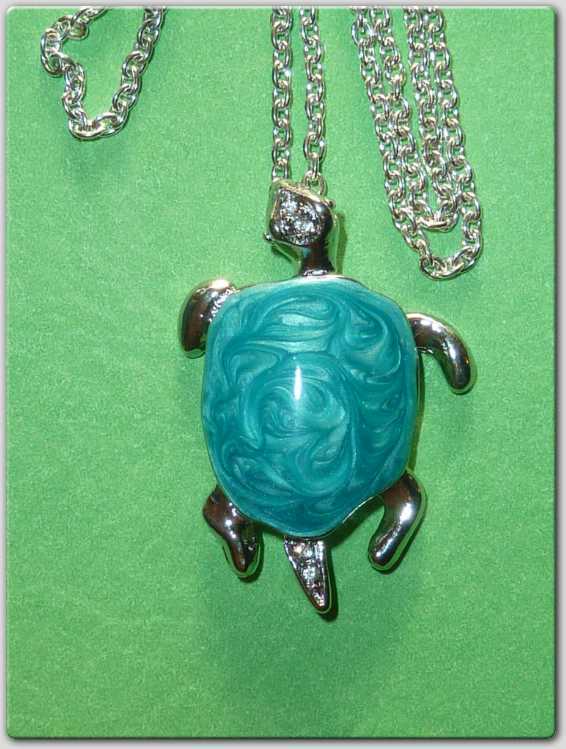 Thank you so much for thinking of me and sending me such nice things . . .
My FL FGM sent my DD a wonderful package! 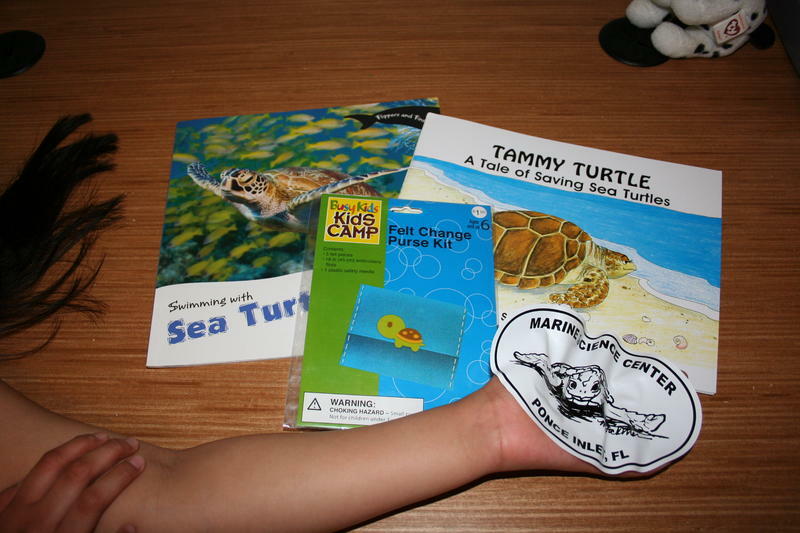 2 turtle books, one turtle purse craft kit and a decal from where she works! Thank you, you made her day! My FGM in VA sent me a friendship square! I LOVE IT! 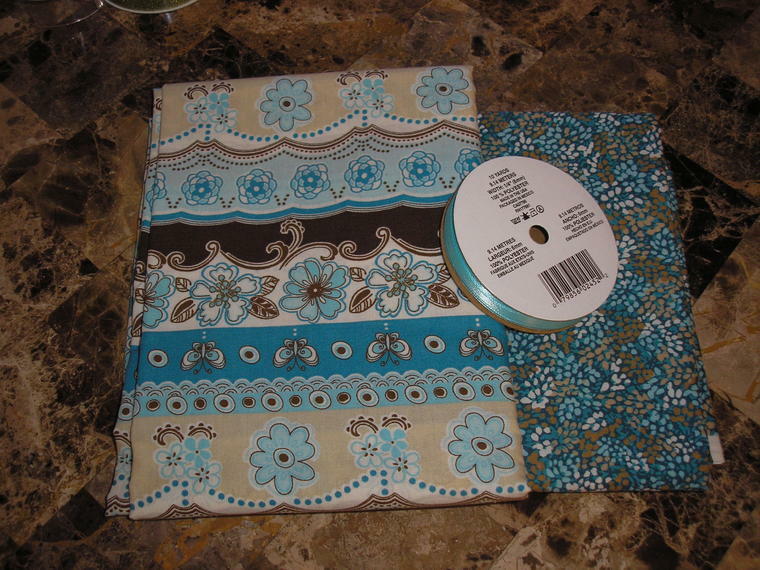 I want this pattern! Will go so nicely with the others I've collected, can't wait to get enough to make the ghan! 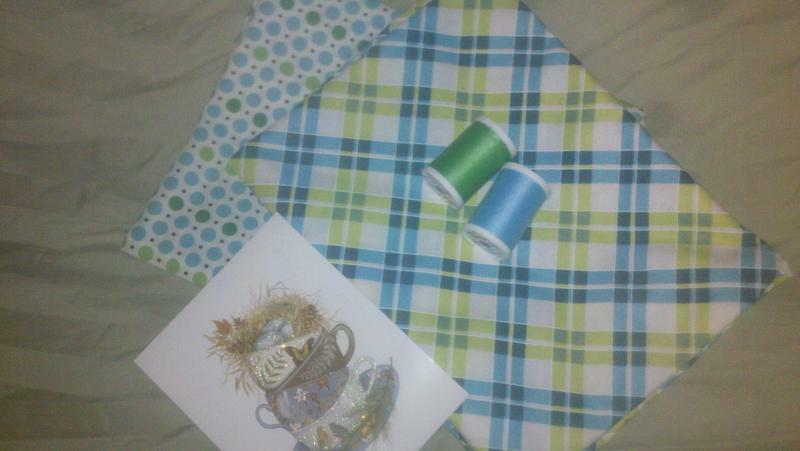 OHH look what my FGM in NY sent me ......... the fabric is sooo pretty, bright blues and greens, so spring like-thread as well!-I just want to go and sew! 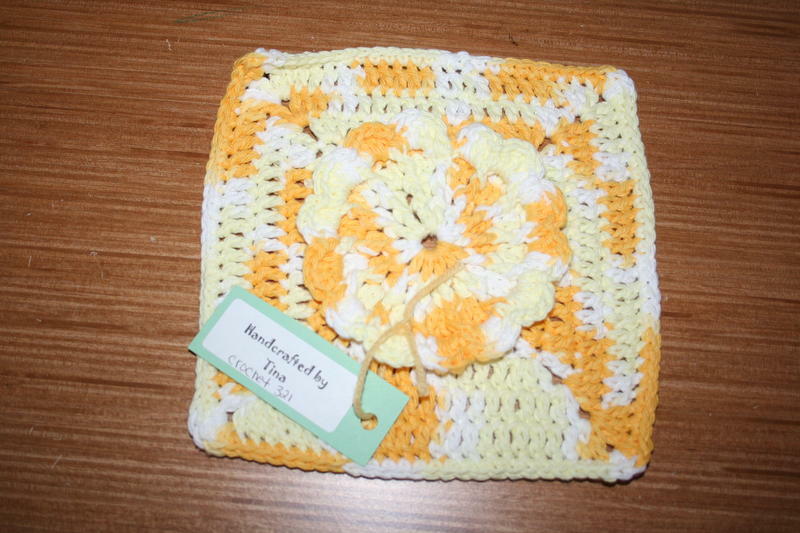 Thank you to the FGM in MA for the two beautiful squares for my Friendshipghan. They are a beautiful dark purple. One has a light purple center and the other one has a gold center. That one reminds me of the colors for the Vikings football team in Minnesota where I am originally from. Thank you soooo very much! !